Halloween Countdown Special! #17 – SAW – Show Me The Movies! Dare you see SAW? 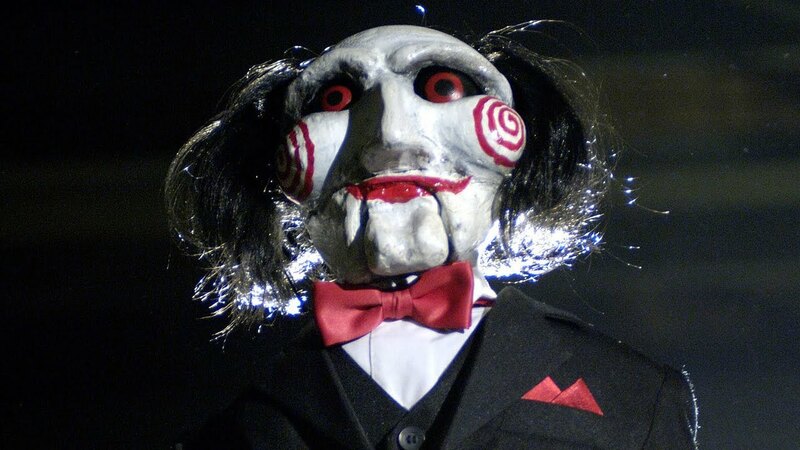 So went the tagline of the 2004 movie and it turns out quite a few people did indeed see SAW and if a horror series has managed to get to film number eight it must be pretty special right? Well, yes and no. The first SAW movie is arguably a modern classic, however each sequel that followed was progressively worse in terms of quality. Sure they were fun and featured inventive death scenes and traps but the shock value the first SAW movie brought us was sadly lacking. What works so well about the first movie is that it introduced audiences to a serial killer with a difference – he doesn’t actually kill people (well, directly that is). The plot focuses on two strangers who awaken in a room with no recollection of how they got there or why, and soon discover they are pawns in a deadly game perpetrated by a notorious serial killer, called Jigsaw. What the seriel killer does is play a game with his victims and the two strangers (played by Cary Elwes and Leigh Whannell) find themselves with two hours to free themselves and kill the other, or they will both die. This information comes from a tape recorder found in the hands of a dead body and it triggers a series of events that become not only searingly brutal but also with one of the biggest surprise plot twists since THE USUAL SUSPECTS. Let the games begin! Previous Previous post: GAME OF THRONES star Maisie Williams features in X-MEN: THE NEW MUTANTS trailer! Next Next post: Are the GAME OF THRONES season 8 scripts to be kept a secret from the cast?